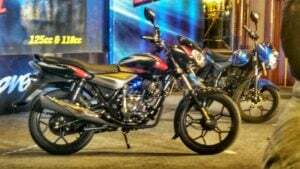 Bajaj Auto Ltd, the popular Pune-based motorcycle company, has launched the new 2018 Bajaj Discover 125 and 110 cc models. 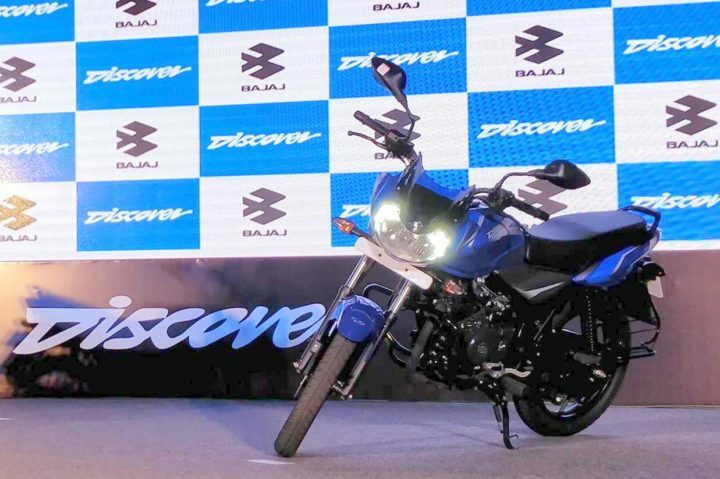 The new 2018 Bajaj Discover range has gone on sale at a starting price of Rs 50,176. The new range of motorcycles comprises of the 2018 Discover 125 and the 2018 Discover 110. The new bikes come with a host of styling updates that make the bikes look fresher and hence, more modern. The new 2018 Bajaj Discover range of motorcycles has gone on sale at a starting price of Rs 50,176. The new 110cc model is available only in a drum brake variant. The 125cc model is available in both drum and disc brake variants. The drum brake variant has an ex-showroom price of Rs 53,171. The disc brake variant costs Rs 55,994. At this price point, the new 2018 range of Discover motorcycles goes on to rival everything from the Hero Passion Pro to Hero Glamour SV. It is being said that the new motorcycle will be powered by the same single-cylinder motor that powers the current bike. This 124.6cc engine comes mated to a five-speed manual transmission and outputs a max. power of 11 PS and a peak torque of 10.80 Nm. The Discover 125 2018 model gets telescopic forks at the front and Nitrox gas-charged shock absorbers at the rear. The motorcycle gets drum brakes on both the wheels for the base variant. There’s also a front disc brake variant available at a slightly higher price. It is being said that the new motorcycle will be powered by the same single-cylinder motor that powers the current bike. This 111.63cc engine comes mated to a four-speed manual transmission and outputs a max. power of 9 PS and a peak torque of 9 Nm. The Discover 110 2018 model gets telescopic forks at the front and Nitrox gas-charged shock absorbers at the rear. The motorcycle gets drum brakes on both the wheels. The new Bajaj Discover 2018 models come with a host of updates that make the bike look more attractive. 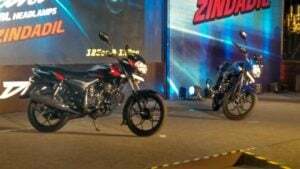 The 110cc variant gets new graphics, new sidebox cover, LED taillamp, and new design alloy wheels. The cycle parts and the mag wheels come painted in black. The 125cc variant also gets a black treatment for the new alloys and cycle parts. Furthermore, it the bikes get a semi-digital speedo console. The LED DRLs lend a premium touch to the appearance. Stay tuned for latest news updates on the 2018 Bajaj Discover 110 cc and 125 cc models.